Please contact me regarding the 2017 Wilson Patriot Severe Service Belt - Stock# 211005 for sale at TruckerToTrucker.com. Take a look at this 2017 Wilson Patriot Severe Service Belt. It is Stock# 211005 at TruckerToTrucker.com. 48" Wide Belt, Mac Conveyor Chain, 2 12' Hydraulic Hoses & Couplers, 18" King Pin Setting, 84" Vertical Slice, Quad: Front Axle Lift, Rear Axle Steerable Lift, 61" Spread on 1st 3 Axles & 64" on 3rd & 4th Axles. 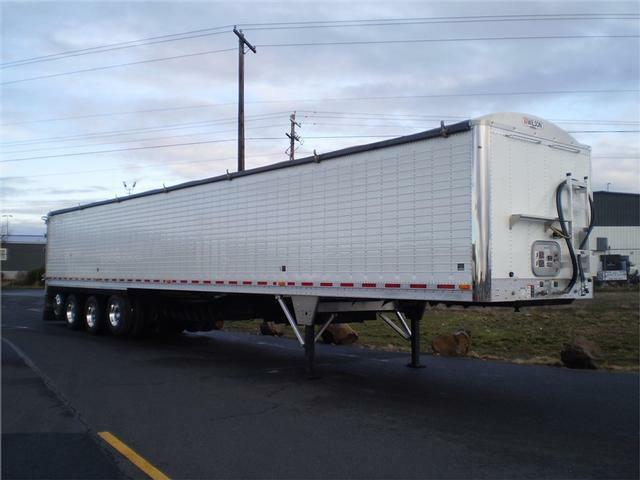 Overall Spread 15'6", 255/75R 22.5 Tires on Rear Lift Steer Axle, Reverse O Matic on Rear Axle, Anti Spray, Access Doors, Debris Shield above Trailer Tires, Black Shur-Lok Moisture Barrier Diamond Core Roll Over Tarp with 2 Year Warranty. FET Included in Price!